I was a guest on Pruning Princesses! As some of you may or may not know, I was a guest yesterday on Pruning Princesses! I got to talk about the lessons God's taught me through both my diagnosis with food allergies (that are no longer) years ago as well as through my Fibromyalgia. I tell you, it has not been an easy road, but it has been the best road for me, and I've learned so much. "The times I found out I was expecting were the happiest days of my life. I couldn’t wait to have “Mommy and Me” dates, to watch endless hours of Elmo, to snuggle, cuddle and kiss my babies or play “Hide and Seek.” I imagined how perfect my life would be, and after my first 2 children were born (just 18 months apart), I had that perfect life, but then it all changed. My whole world got flipped upside down when I was diagnosed with multiple food allergies. This diagnosis lead to paranoia about food, wondering if I’d be around for the 2 little boys (age 3 and nearly 2 at the time) we were raising if I ate the wrong foods. I was scared out of my mind, and, though I was “religious,” I wasn’t a Christian, so I didn’t have God to help me. Regardless, God found it in His grace to lead me to a doctor a few years later who informed me that my food allergies were gone, if I’d ever had them to begin with. I thought I had my life back, and I began to live again like I always had…on my own, relying on me. In August of 2012 (5 years after I got saved) with 3 kids now to take care of, God saw fit to touch my life again in a way that changed my “perfect” world: I was diagnosed with Fibromyalgia, which can be debilitating, but not fatal. I again felt fear, anger, hurt…but this time, I had God. I asked Him to help me, to teach me through this, to help me be the mother I needed to be. I was fatigued, moody, in pain, and had trouble focusing at times, but still I wanted to be that mother I longed to be…and God is answering that prayer in His Own way." To read the rest of the post and find out the top 5 things I’ve learned about God’s goodness and grace through the hardships I’ve faced over the years, click here. Laura, if you're reading this, thanks again for the opportunity to be a guest! I appreciate the opportunity so very much! Looking back on this picture, I can't help but think that I never expected the opportunity to arise to take such a picture in the middle of winter. 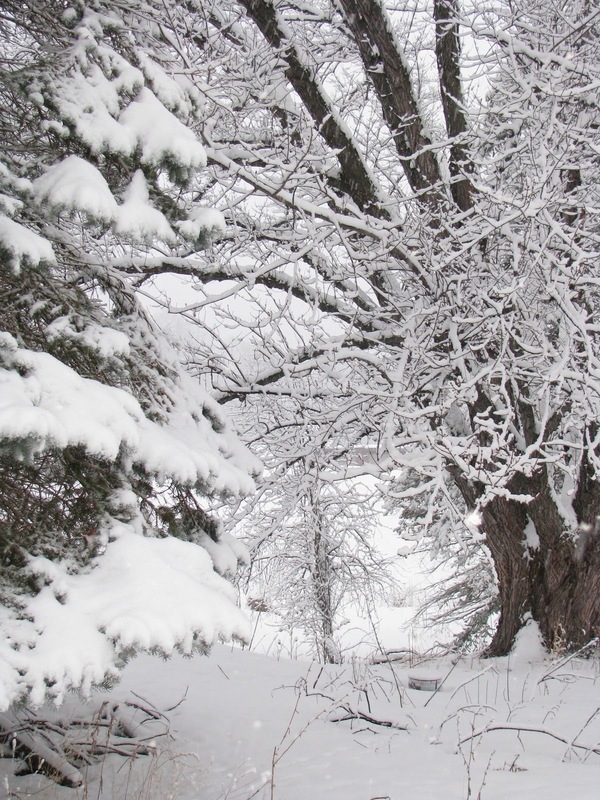 Winter tends to be bleak and cold, but there are times when it is breath-takingly beautiful, too. In the same vein, it seems like, just when we have it all figured out, life throws a curve ball and we enter into new and unexpected territory. Though it is different, though it is new, though it may be scary, it does not have to be bad. We can choose to trust God and rest in the beauty and safety of that trust, believing that He knows what is best. I am not one to think that God causes bad things. I believe that He permits them, but He does not cause them nor does He like them. I cannot begin to fathom the mind of an all-knowing, all-powerful, everywhere-present God, nor do I envy Him His job - I know I wouldn't want it. I believe He sees the mess we put ourselves in and weeps over it, aches for us, just like a parent does when they see their child in the midst of a mess they made themselves and know that they must learn through their mistakes because they chose not to listen to our advice. I believe that when horrible things happen, He still wants to be near us, help us through it all, but He waits for us to come to Him. Just like a parent is not responsible for a child going wayward and doing horrible things despite the parents' best efforts, just like a parent does not condone bad behavior but yet corrects it and loves their child through it, so God does with us. He does the best He can to help us fix it, just like we do with our children, when we come to Him asking for forgiveness and help. I also think He sees us in the midst of hurt not of our own doing, not out of sin, hurt everyone faces in some form (i.e. death, illness, injury), and longs to hold us in His arms and comfort us through it. I also know that He knows the future, so He knows how any of these events will shape our lives, and He can show us which way to go along the path that is our life so that we receive the best outcome...if we will just listen to His leading. He even knows if the hurt will turn out to be a mixed blessing or not, kinda like my Fibromyalgia, and He knows every outcome in general, so there is no reason to fear the unknowns in life either. Anyway, I'm a bit off track, but I've said all that to say this: I am in the midst of something right now that I will leave unspoken for the time being (and no, it's not a sin issue, but it is deeply personal) that I know that God knew about before the beginning of time. It is something that will forever change me, but it is beyond my power, no matter the outcome. I would ask that you pray for me, please. I have asked for God's peace and wisdom, and He gives it, but I still fear the unknown. It is human to do so, but I am asking for Divine. I want to rest and trust in God and know that He is good, not just in my head, but in my heart, too. Thank you. I will tell you all about the unspoken when it is the right time, but now is not that time. I only mention it because I feel compelled by the Lord to do so, and I try to always listen to that prompting. It serves me best to do so. :) I hope you all understand, but it's ok if you don't. Anyway, I also feel lead to ask if there is anything I can pray for you about today? Anything heavy on your heart? Anything causing you pain? Grief? Joy? Anything unexpected that you want someone to help you pray about? You don't have to tell me specifics and you don't have to comment publicly either. You can leave an anonymous comment or email me, if you wish, or even be silent. Know this, though, that I pray for you, dear reader. You are always on my heart and mind. May you have a blessed day and feel the peace and power of God in your life today! I am a huge chili fan. I have always wanted to make White Chicken Chili, but never knew how to go about it. I went to Allrecipes.com and found this recipe as submitted by JELZA that I knew I could work with and modify to create the perfect White Chicken Chili for my family. The result? SUCCESS! The kiddos liked it, hubby loved it and I was beyond pleased with not only the taste but the ease of preparation. This recipe is soy (if you use all soy-free ingredients), fish, nut, wheat and egg-free, and can be milk-free (see variations). I hope you enjoy it! 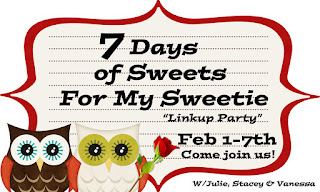 Also, coming up on February 1st through 7th, Stacey from Glued To My Crafts, Vanessa from Vanessa's Place and I are hosting a link-up (with giveaway) called "Sweets For My Sweetie"! 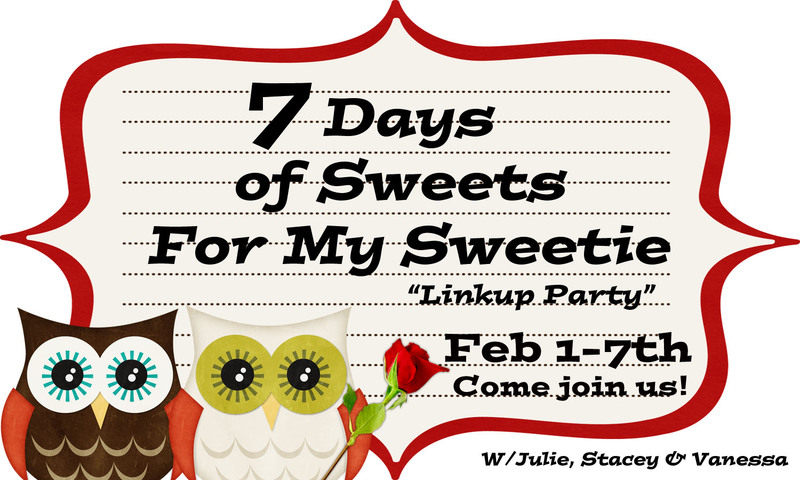 We'll even be featuring our TOP 5 Faves on February 8th, and we have a special surprise planned, too! You won't want to miss it! I think this picture is a good example of a mask. It looks beautiful because of all the snow and its pristine whiteness, but underneath that snow is just some ugly dead trees. How often in life do we put on a beautiful, snow white mask to hide our ugly, dead nature? How often do we let others think we're better than we really are? I know I'm guilty of this, and that's why I'm writing this post. When we blog, we tend to show our best face. We don't let people see the ugly, and even when we do, we do it in a diplomatic way that still paints us in a good light. Honestly, I'm not all that amazing, nor am I always that wonderful. I have flaws, and today I wanted to show you the "me" behind the rose-colored blog glasses. I'm going to do it as perception vs. reality. "You are so godly! You must be a super Christian and read your Bible and pray 24/7!" I struggle to read my devotions consistently. I do pray, but I find it harder to do in public than in private, and I don't pray with my kids often enough. Don't get me wrong; these things happen in my daily life and if I say I'm going to pray for you, I do. It is just that I am not to the point where reading my Bible and praying are second nature to me; I still have to work at doing it. It is something I am honestly ashamed of, but am working on daily. "You have a natural food, food-allergy recipe blog! Your kids must eat so well, low sugar and from scratch for every meal!" Boy, do I wish that were true! We still eat out every few weeks (sometimes as much as once a week), we are guilty of eating frozen pizza, fish sticks, chicken nuggets or grocery store fried chicken (though I am picky on types and brands). I make mac and cheese from a box at times when life is crazy. My kids eat store bought bread (albeit the best of it that we can afford with the least amount of junk in it) and cereal, and I'm not talking bran flakes here, but those artificial flavored and colored ones. I cook with sugar (though it is cane sugar, turbinado if we can afford it) because I think it's ok in moderation. That's just the tip of the ice berg! I do not have a totally unprocessed, whole foods house, but that's ok...as long as the junk is the exception and not the rule...and it's getting there. 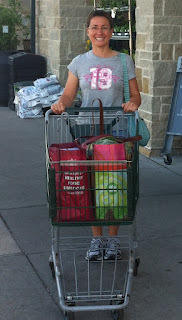 I work hard at getting my family to eat natural, whole foods, but it doesn't happen daily. It is a work in progress. I know what is the best for my family, but it doesn't always happen. It's one of the things that I'm striving to change this year the most because I don't want to be a "do as I say, not as I do" type of person. I never claimed to be perfect in my eating habits on my blogs, but I never claimed not to be either. This is me admitting I have a long way to go here, too, so if you're struggling, I get it! I do, too! "You talk about how much God loves you and how much you rely on Him to help you. You must be like a Baptist nun!" I'm not perfect, nor do I claim to be. I do love the Lord because of all He's done for me, and I do need Him daily, but there are days where I still try to do things in my own power. It's a terrible, nasty habit and totally prideful...and one that I work on. God knows who and what I am - I don't try to fool Him because I can't. He loves me despite all of my flaws...but He wants me to work on them with His help. That is my reality: confessing my faults, seeking God's will and striving to serve Him to the best of my abilities. I sometimes fail at this, but when I fall, I ask God to help me up and to help me try again. I just pray that one day it will be the last day I have to start over again! "You don't complain about your Fibromyalgia and often say how you're grateful for it. You must have a high pain tolerance and be the biggest saint ever!" I do have a high pain tolerance, but that's not why I don't complain much. I don't complain because it does no good - it doesn't change reality. It only changes my mood, which compounds the issue. Oh, I have whined. I have cried. I have complained. It doesn't help. I have found that if I, instead, seek God's wisdom and ask for His help through it all, it is a lot more tolerable. I do have my bad days, and I've blogged about it before, but I try to stay positive. My pain is minimal compared to a lot of people, and I'm so grateful for that! I will be honest and share when I've had bad weeks, when my memory is like mush, etc., but I know that staying positive and trusting the Lord is the best medicine for anything, and Fibromyalgia is no exception. "You always respond so fast to emails and comments! You must be so organized and have a lot of time on your hands!" I am not as organized as I'd like to be, but I keep my online life very organized so that I don't spend time spinning my wheels which keeps me away from my family. Some days I do have a lot of free time, others are nuts! I respond quickly so I don't forget to do it later, because (trust me) I have (gotta love FibroFog)! Also, and please don't take this the wrong way, the quicker I deal with the online stuff, the more time I have for family, so I like to get it done ASAP to free up time for family later. There is always time, though, during the day that I deliberately walk away from the computer so it doesn't eat up my time. I kick myself when I am here too much because that means I was away from my family too long. They need me, and it's a delicate balance. This is why I only post once a week (link-ups and rare occasions when I post more often aside) and why I strive to have a monthly guest blogger on each blog as I can work it out, because I have to keep my blogs a part-time thing so that my family can be a full-time thing like it's meant to be, if you know what I mean. "You are such a good wife and mother! Your kids must adore you and act like angels, you must have a pristine house and your husband must fall all over himself to make you happy!" My life is far from perfect. My kids are great, but they disobey sometimes or show selfishness or lack of restraint or act inappropriately (they are kids, after all - that's kind of par for the course). They don't always think I'm wonderful, because I'm not. I've lost my temper, I've had "mommy meltdowns" and I've forgotten promises and had to apologize to my kiddos (including to my 2-year-old) for it. Nothing knocks you down a few pegs like looking into a little kid's eyes and having to say, "Mommy was wrong. I'm sorry. Forgive me?" My house is not always pristine (the dusting rarely gets done, and there are days the laundry may get washed but not folded, and the garbage has been known to overflow at times), but I try to keep it as clean as I can. My body doesn't always let me do the work I'd like to do, and sometimes, let's be honest, I procrastinate in doing it, so it doesn't get done. Big flaw, but I'm working on that, too. My husband sees me for who I am, loves me anyway, and sometimes we argue. He loves me like I love him: unconditionally, even if we're not acting very lovable and have decided we don't like each other so much in the moment. I know saying that will offend some of you or shock you, but don't misunderstand me. We are not perfect people and we do things we should not, say things we should not, etc. This is how everyone is, and though it pains me to admit that I'm "normal" in this regard, it is the truth. I am a work in progress. True character and integrity is manifested in one that humbles themselves to admit they are not perfect, apologize where it is needed and strive to fix it and better themselves. I won't have you believing that I'm some saint when I'm not. I do the best I can, but I have not "arrived". I don't like that I can't be blameless and spotless at all (or even at most) times. I hate that I can have a temper and/or say things that I don't mean. I hate when my pride gets the best of me. These are all things I work on, that I struggle with, that I ask God to help me with, and He does, and when things go south it is because I am the one who falters and fails, not God. He will always help when I lean and rely on Him...the problem is that I get thinking I can do it alone, and then it domino effects into everything else until I have a mess only He can fix left to offer. One day, when I get to Heaven, I won't have this sinful nature keeping me in a state of imperfect, and I so look forward to it! I could go on and on like this, but I think you get the picture. The gist? I'm not perfect, so please, PLEASE, don't make me out to be. I can't survive being on a pedestal that high, because I will fall off of it and hurt, not only myself, but others in the process. I didn't write this post to discourage you, but to encourage you. You and I are no different, dear reader. We both have flaws we hate to share. We both put on masks because that's what we're used to doing and what we feel is expected. I encourage you to stop doing that. Don't be afraid to be honest with yourself, with God and the world. Always remember that God sees you for who you are and loves you as you are. If who you are is good enough for a holy God, then it should be good enough for everyone else. Now, that does not give you license to do what you like as you like - there are laws and morals for a reason - but it does give you freedom to see yourself through God's eyes - eyes of grace and mercy - and give yourself the leeway you need to change for Him. Once you get your eyes off of yourself, once you get your eyes on what He has done, then you stop seeing yourself through your pride, through your pretense, and start seeing yourself as you really are and then you can truly change and grow and be a better person. It's amazing how the dirt stands out when you put it next to something (or in this case Someone) spotless, isn't it? What perceptions are you holding onto today that distort the reality that is you? Let go. Throw away the mask. Be real. I don't know about you, but this is the time of year that sickness, normally in the form of head colds, strep and/or sinus infections, run amuck in our house. It seems one kid gets it, then it's passed around until eventually (no matter how hard I try to prevent it) I end up with the crud, too. Joy. Thankfully, this year I came up with a tea-based mixture that helped my symptoms a LOT, and helped speed up my recovery tremendously. My kiddos aren't tea drinkers, so they couldn't benefit from this wonderful concoction, but I wanted to pass it on to you so that you can. What I love about this tea is that it's got honey which soothes a sore throat and helps a cough, lemon juice which gives you some Vitamin C which helps with your immunity and Chai is loaded with wonderful spices that help settle the stomach, open the nasal passages and help speed recovery. Really and truly, it shortened my misery by a few days (I'm sure all the vitamins I'm on helped, too), and it helped my throat when nothing else did. Besides, a steamy, hot cup of tea is wonderful to hold and the steam doesn't hurt when you've got a plugged up nose! I hope you enjoy this recipe and that it can be of help to you when you're not feeling your best! What are your "go to" recipes when you're not feeling well? Christy Pooschke is a Real Foods Enthusiast and author of “Eating Additive-Free: Natural Cookbook & Grocery Shopping Guide.” She resides in Omaha, NE with her husband Chad and her dog Jackson; and she enjoys spending time in nature, taking pictures of wildlife, gardening, hanging out with her nieces and nephews…and laughing! Christy earned a Master’s degree in Developmental Psychology, but her life took an unexpected twist when she found herself face to face with a chronic illness. She developed a passion for inspiring others to take control of their own health; and she created CompletelyNourished.com to help others maintain a balanced, natural lifestyle. Follow along on her website, so you don’t miss any of her upcoming recipes, shopping tips and informational videos! Please join me in welcoming Christy, and please don't forget to leave her some comment love below! Thanks! Fibromyalgia stole several years of my life. In 2002, at the age of 25, my health began to deteriorate. Life, as I had known it, was over! I was extremely weak and fatigued, and I was in so much pain that some days it was all I could do to get out of bed. Among other symptoms, I suffered from digestive distress, sleep disturbances, chest pain, and an intermittent racing heart beat. I was in constant pain; many days it was too painful even to hug my own husband. On good days, I felt 90 years old; on bad days, I felt like I should be in the hospital. I was in pure misery, suffering from an “invisible illness” for which there was no treatment, no cure and no known cause. After more than 15 different prescription medications, never-ending appointments with various specialists and more than a handful of diagnostic procedures, I was eventually diagnosed with Fibromyalgia. I had just completed graduate school and was beginning my career when the rug was pulled out from under me. A few years later, after much consideration, I resigned – I resigned from a career that I adored, and I resigned myself to the medical “fact” that I would suffer with chronic, untreatable pain for the rest of my life. Fortunately, in 2007, I stumbled upon the book, Natural Cures They Don’t Want You to Know About (by Kevin Trudeau), and the course of my life was forever changed. While I did not adopt many of the suggestions in this book, I did learn from this book that there are ingredients in processed foods (e.g., MSG, artificial sweeteners, etc.) that are making people sick – and even causing cancer! I had never in my life given any thought to the ingredients in food. All I had ever paid attention to on food labels was the amount of calories, fat and carbs. And if I wasn’t overweight, then I really had no idea there was anything in food for me to be worried about. Boy was I wrong! After learning about the health effects of all of the additives that are allowed in our food supply, my husband and I were outraged! We were especially outraged about the food additive MSG because it is allowed to be hidden on food labels; and it over-stimulates the nervous system, causing and exacerbating anything from migraines and insomnia to Fibromyalgia and seizures! So we immediately purged our kitchen of convenience foods and mystery ingredients – we threw food away, gave food away, and even sold some at our garage sale! We said good-bye forever to things like Lean Cuisine meals, Slim Fast bars, soda, chewing gum, and fast food. We began making all of our food at home from scratch, so we could be certain what was in it. We began scrutinizing the ingredients label on everything we bought. If it contained even one word that we didn’t fully recognize as having come from nature, we didn’t put it in our cart. Within just a few months of eating this way, ALL of my Fibromyalgia symptoms resolved – completely! In fact, I now feel better and have more energy than most people I know – as long as I stick to an additive-free diet! But don’t worry…I’m still able to enjoy most of the foods that I have always loved - I just make my own homemade versions using pure ingredients. (Click hereto read my entire return-to-health journey). Over the years, I continued reading every book I could get my hands on (and I still haven’t stopped educating myself about natural foods). It didn’t take long for me to realize that most of what I had always assumed about the safety and healthfulness of our food supply was completely wrong! When I read about the array of health problems that are associated with many of these food additives, I became very angry. It broke my heart to think about how many other folks were suffering needlessly because they would never suspect that food additives were causing or exacerbating their conditions. It absolutely fascinates me that we have gotten to this point where most of the “food” that many of us are eating really has very little actual food in it. It’s comprised primarily of chemical food additives! Look around - most people are sick, tired or overweight. At the same time, our culture has lost sight of the importance of paying attention to how we fuel our bodies. Something has got to give! Since regaining my own health in 2007, I have witnessed first-hand the havoc that these ingredients wreak in others’ lives, as well. Now I feel a moral obligation to share what I have learned with as many people as possible and to inspire them to take an active role in maximizing their own health. I work tirelessly to spread the word about these food additives and to help support people in their transition toward a more natural lifestyle. In 2007, I got the “wake-up call” I needed to help me start making conscious decisions about what I was putting into my body. It definitely made intuitive sense to me that we’d all be better off if we stop eating FAKE food and return to eating things that are grown in nature rather than invented in a lab. I truly believe that the Standard American Diet is destroying our health! The way I see it, healthy eating falls along a continuum – fast food and donuts are at one end…and whole, raw foods in their natural (unprocessed) state are at the other end. Naturally, the closer we come to the whole foods end, the better off we will be. Don’t worry; perfection is not necessarily required to reap the benefits of a natural foods lifestyle. Eating really well even 80% of the time, can make a huge difference in many cases! And please find comfort in knowing that it wasn’t that long ago that I was sustaining myself on fast food, candy, diet pop and frozen dinners. If I can make these changes, anyone can. There is nothing special about me that somehow makes it easier or more natural for me to live this way – I hate making dinner at the end of a long day (or tackling the dirty dishes) just as much as the next person. But it’s SO worth it for the way I feel – a very small price to pay for having my life back, don’t you think? I am not a doctor. I am not a nutritionist. I am not a chef. I am just a person – a person who was blessed to discover some very simple, yet profound, health information that changed my life forever. This may sound cliché, but I know that everything happens for a reason. 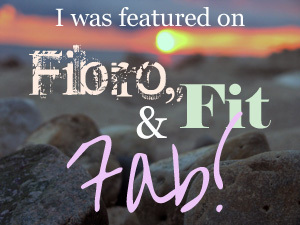 While suffering with Fibromyalgia, it was really hard to see any purpose in the pain. Now, I realize that I suffered for those years so that I could educate and inspire others to take charge of their health. Up until that point, I was so apathetic about what I put into my body. I realize that many others out there are the same way, and I spend most of my free time doing what I can to change that! Although my particular symptoms were diagnosed as “Fibromyalgia,” you could insert countless other health conditions and get this same story and solution; and I’ve witnessed the transformation in many other people with a variety of ailments and diagnoses throughout the years. So if you’re still eating processed foods filled with mysterious ingredients and chemical additives, I truly hope that you will begin doing your own research and consider making changes in your own life, as well. It brings tears to my eyes to imagine what my life would be like today if I hadn’t done so! Thanks again for joining us, Christy! 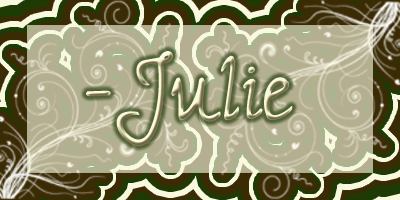 Today I have my first guest blogger of 2013, Justine Levine! 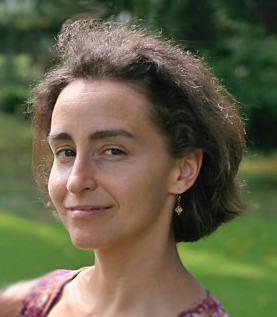 Justine Levine is a writer, blogger, foodie, and yogini who is passionate about locally produced sustainable food sources. Though she learned early to be flexible with ingredients because of friends who followed vegetarian, Kosher, vegan, and low-GI diets, she became interested in allergy-friendly cooking and baking through blogging. 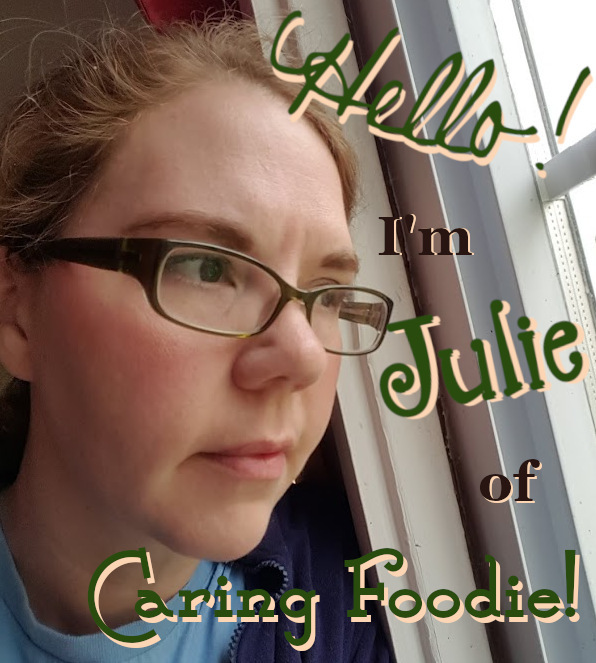 Her blog, A Half Baked Life, is about the search for balanced living in an imbalanced world; Justine writes about food, her CSA, yoga, parenting after infertility and pregnancy loss, and life in general. Her recipes often include allergy-friendly substitutions. 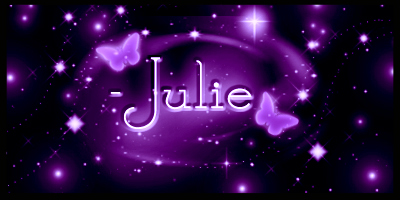 Please join me in welcoming Justine, and please don't forget to leave her some comment love below! Thanks! In my church, coffee hour is a big deal. It’s a time for fellowship, for community, for creating the foundation that makes our fellowship thrive. And it’s not just a time for adults, either; children are an important part of our fellowship, and it’s not uncommon to see adults having real conversations with young people. I’d noticed that one formerly engaging and happy little girl had recently taking to hiding in the folds of her mother’s clothing, and asked what was up. Her mother told me she had just been tested for allergies, after suffering from gastrointestinal distress for years. The verdict? Allergies to wheat, gluten, dairy, flax, nuts. Which pretty much rules out everything on the table at coffee hour. Her mother had tried to smooth things over, bringing treats that she could share, but nothing really tasted like what was on offer, and the little girl didn’t want to talk with anyone about her allergies. She felt isolated, left out, and ashamed. I’d been experimenting with vegan and with gluten-free baking, so I asked her mother if I could bring her some treats the next week, and talk about some of the famous allergy-friendly chefs that inspired me. 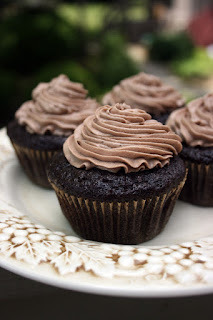 Her mother was thrilled, and so these gluten-free vegan cupcakes were born. The look on the little girl’s face the next Sunday was priceless; you would have thought I’d given her the moon. The secret to successful vegan and gluten-free baking, in my opinion, is good ingredients. Don’t skimp on the really good vanilla, or the really good cocoa powder. They make a huge difference. Preheat oven to 350°F and line a muffin pan with your liners of choice. Whisk together the soy milk and vinegar in a large bowl, and set aside for a few minutes to curdle. Add the sugar, oil, and vanilla extract to the soy milk mixture and beat until foamy. In a separate bowl, sift together the flour, cocoa powder, baking soda, baking powder, and salt. Add in two batches to wet ingredients and beat until no large lumps remain (a few tiny lumps are OK). Be careful not to overmix; you'll find that if you do, your cupcakes will sink in the middle after baking! *Some friends have used Bob’s Red Mill Pizza Dough mix with some success; this mix already has xanthan gum included. Thanks again for joining us, Justine! Yesterday, I was a guest on The Coffee Shop! My first guest post of the new year! YAY! :) If you're reading this, Paloma, thanks again for the opportunity. And, my readers, If you have a chance, please go over and check out her site. You won't regret it. She shares some pretty yummy recipes! In a medium saucepan, cook 1/2 Cup of the sugar over medium heat, stirring occasionally with a spatula (if it becomes lumpy, reduce heat and refrain from stirring), until it turns a deep amber color; add the butter and stir until it is melted. Add the remaining 4 Cups of milk and stir until everything is heated thoroughly. Remove the mixture from the heat and stir in the vanilla before enjoying. Makes about 5 one Cup servings. Milk-free: Use a dairy-free milk for the milk and a dairy-free butter for the butter (such as Earth Balance and/or SoDelicious brands). Just keep in mind your allergen needs when picking a substitute. Sugar-Free: Use a sugar substitute in place of the sugar. Frothy Top: Place a 1 Cup portion in the blender and blend for a few seconds before pouring into a mug for a nice frothy top. Coffeehouse Style: Top with sweetened whipped cream, caramel sauce, cinnamon or any combination that you like to make a more "coffeehouse" style drink. Just keep in mind your allergen needs when using this variation. Iced Caramel Mocha: Let the mocha cool and then serve over ice. Caramel Mocha Frappe: Let the mocha cool and add a 1 Cup portion to a blender along with 1/2 to 1 Cup (amount based on preference) of ice and blend until desired consistency. I would start with the 1/2 Cup of ice and add more if you want it thicker.